Noise is always one of the first considerations that gets brought up. Traditionally Libraries are quiet or even silent. In a modern learning space we need to try to cater for many different occasions. The stereotypical librarian SSSSHHHHHHing! is not the way that students like to be treated and it is not always an inviting environment. Below are the categories of noise that I have tried working with. Silence means exactly that no-one is to speak at all. Everyone should be able to hear a pin drop. Silence would have traditionally meant working alone but using technology students are still able to collaborate by using email or instant chat together. This can be a great way to work and can help stay a lot more focused. Experiment: A silent day and then get students feedback on how they found it. Quiet should be whisper volume. Whispering is fine in very small groups but when there are larger groups it is hard to communicate in whispers and therefore tends to become talking. Again the use of technology can be used to aid in collaborative tasks. Experiment: A quiet day and position desks/chairs in smaller groups then get students feedback on how they found it. Talking simply mean allowing students to just have conversations at a normal volume. Again there can be issues in large groups but not as bad as when whispering. The main issue with talking is keeping it at the appropriate level. Noise can have a domino effect as one group gets louder the next group will need to get louder in order to hear each other and so on. Talking is great but just needs to be reset now and again. Experiment: A talking day and position desks/chairs in smaller groups then get students feedback on how they found it. Free reign means just let the students decide on the appropriate level of noise. Allow them to be louder when required and let them workout between them what the level should be at any time. 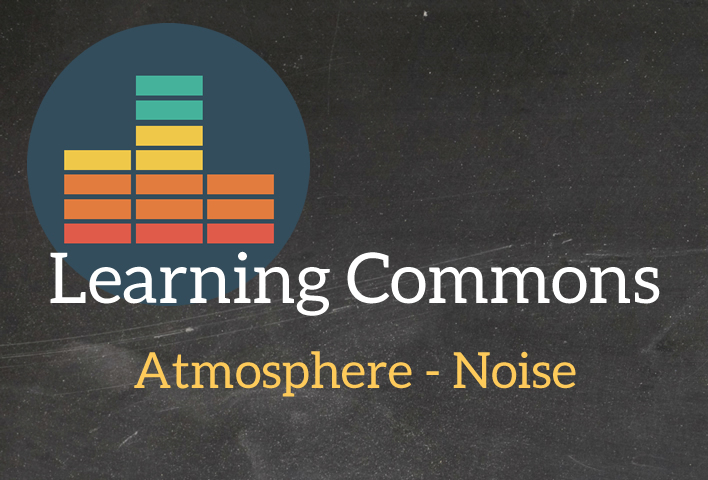 I will soon talk about layouts for learning spaces which are best for controlling noise.